Development time and machine performance are critical goals for today's industry. During the replacement of machine parts, motor positioning is commonly affected, resulting in the need to power down the machine, and perform tedious tuning. This affects machine uptime and performance that can be costly to OEMs. The introduction of OMRON 1S Servo System makes it easy to tune, thanks to our revolutionary software that offers a simple approach for fast and smart machine tuning. This never-before-seen technology reduces tuning time considerably for OEMs and end users without compromising on the quality and accuracy of work. Timely development process is critical to OEMs, who strive to minimize and eliminate work delays. Quality machine performance is crucial for company's bottom line and reputation. Simple and effective tuning is required for end users, who seek to avoid mis-positioning of motors, causing downtime to machines. They require a fast and simple approach to servo tuning without compromising quality of work. Our solution accomplishes effortless and concise machine tuning. 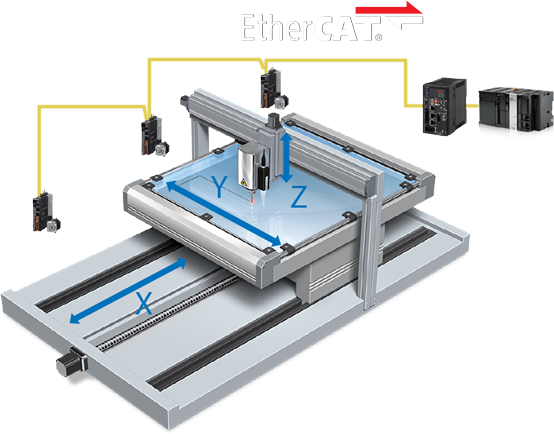 This results in increased machine performance, with unparalleled ease in multi axis setup and tuning. 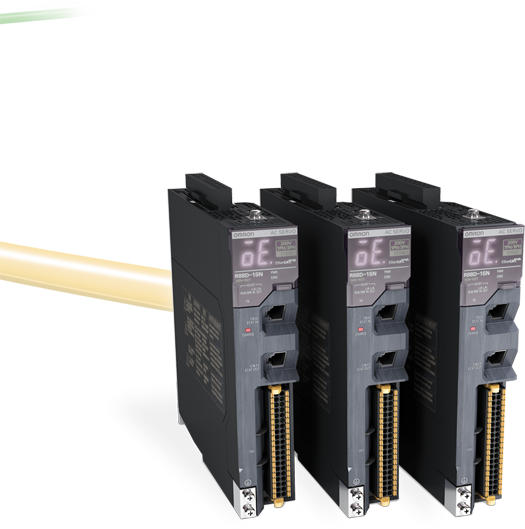 Our 1S Servo technology yields up to 40% savings on setup and tuning time for customers. This unprecedented value is achieved through our 3 breakthrough features. based on Omron investigation in January 2017. THE ISSUE: Before the 1S Servo, each drive in the machine has to be configured and monitored with separate configuration windows. 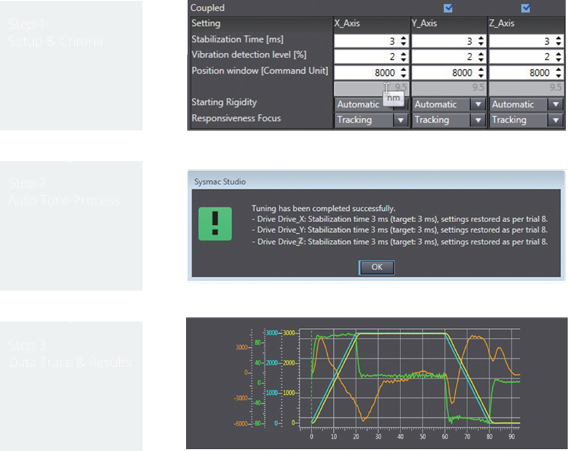 Multiple configurations are required to adjust and monitor parameters. 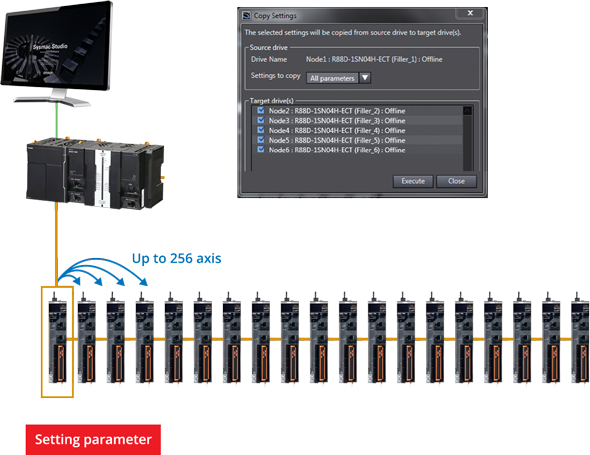 OUR SOLUTION: SYSMAC Studio multi drive parameter and monitor window provides an intuitive way for drive set-up. This brand-new way of presenting data helps users immensely, greatly reducing unforeseen errors, as a result making parameter settings seem a breeze. 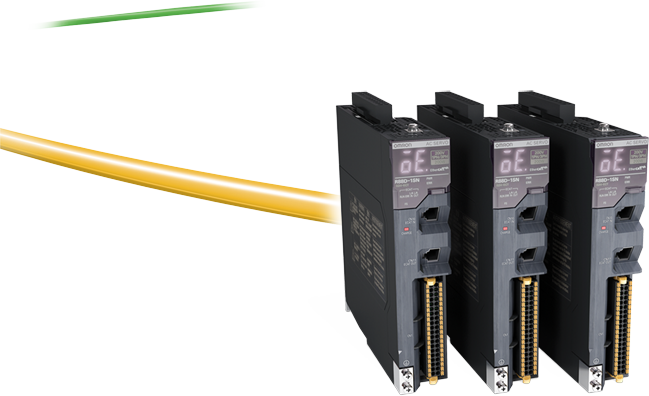 THE ISSUE: For machines with a large number of axis, manual setting of drive parameters is needed for each and every drive and axis. This consumes much time and also increases the room for misstep in configuration. OUR SOLUTION: With our Parameter Copy Transmission feature, all other similar drives can be configured with the exact same parameters with Sysmac Studio, after configuring a single drive in the machine. This one-time axis configuration is replicated to multiple drives in only a few seconds. THE ISSUE: The existing method of tuning multiple axis one by one is extremely laborious and tedious, as much effort is required to adjust numerous axis individually for best results. OUR SOLUTION: The Multi Axis Tuning Wizards of our automation platform, SYSMAC Studio, allows for simultaneous tuning of multiple axis in a short amount of time. The sheer simplicity of this function allows even non-expert users to achieve ideal system performance. 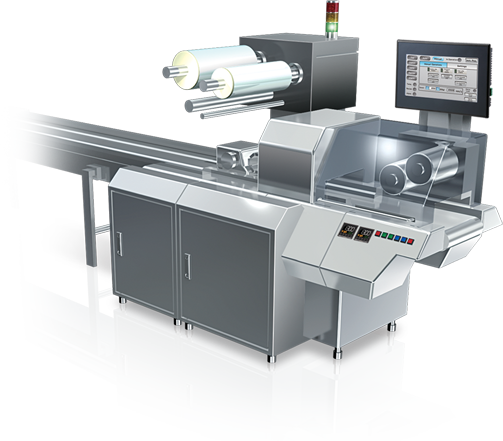 OMRON Servo Motor Sizing Tool not only helps you easily select the right servo size, but also allows visualization of your total machine system through a graphic environment. Servo sizing tool for the entire machine. Graphical environment of the kinematic chain. 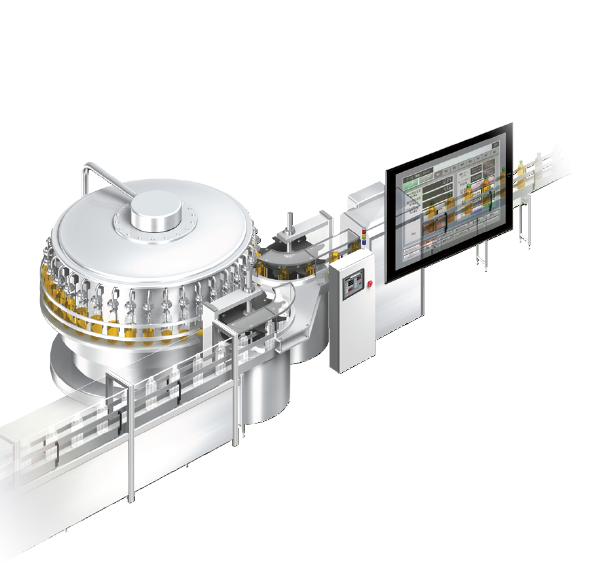 Looking To Make Your Machine Faster & Smarter? Download Our Sizing Tool Now To Select The Right Servo. Simply fill in the following information, and click on “REQUEST FOR TOOLS” button to get a copy sent to your email. Need someone to speak to regarding our products? Our team of experts is readily available to assist you. Simply drop us a call at one of our local hotlines, or fill up the enquiry form below. Our friendly team will respond to you the soonest possible.